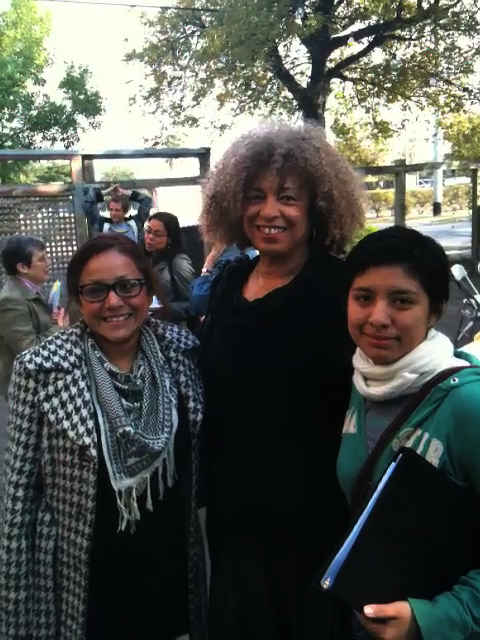 Angela Davis in San Antonio, TX standing in solidarity with Dream Act NOW! Hunger Strikers. and lifestyles; it's a win-win situation! of the symptoms becoming non-existent after 2 days. ● Due to low blood pressure, refrain from standing up fast or getting excited. ● You will feel colder than usual, so bring extra blankets or sleeping bags. ● During and initially after the fast, no chlorinated tap water; try to drink spring water. ● You will require less sleep, but rest through the night. you don’t feel like it. system has been on a long break. I support your strike and hope that you succeed. A hunger strike which is fasting as you indicate from the above even if you drink plenty of water and better would be gatorade, by the 18h day is extremely dangerous. No matter how good your prior health, the starvation causes dangerous fluid and electrolyte imbalance. This can cause death from many disorders including cardiac fatal arrhythmias. At this point even if you end fasting and do not have the assistance of a physician knowledgeable in treating starvation improper resumption of food can kill as happened to many people in the concentration camps after WWII. No one doubts the sincerity of your actions and your commitment to allowing all immigrants to come out of the shadows and live and DREAM.